IS FIREPLACE WEST A FIREPLACE DEALER? IS FIREPLACE WEST LICENSED AND INSURED? DOES FIREPLACE WEST DO ANYTHING BESIDES INSTALL AND FINISH FIREPLACES? WHAT ARE THE TRENDS FOR 2019? DO YOU HAVE ANY OTHER CONTACT INFORMATION? Q:IS FIREPLACE WEST A FIREPLACE DEALER? A:No. 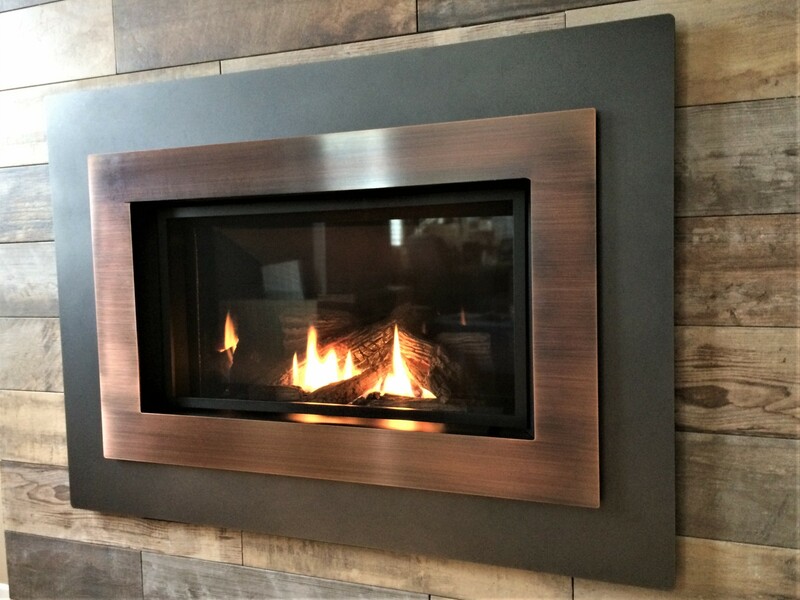 Fireplace West is a gas fireplace contractor. We enjoy Best Price relationships with local Dealers for any of the fireplaces that we supply and install. Most popular units that we supply are Napoleon and a lot of Valor inserts and fireplaces. Shopping with FW is like online lite. Most of our clients know what they want and we get it. We are big on helping you with what works in your project. Q:IS FIREPLACE WEST LICENSED AND INSURED? A:Fireplace West is a TSSA Ontario Fuels Safety Contractor (FS R0076507292). Matt Hetherington, is a G3 Gas Tech. Connor Whiteside holds a G3 and sheet metal journeyman designation. The owner, Robin Hetherinton is a multi fuel Gas Tech, holds a Sheetmetal designation and has a BA (Guelph). Fireplace West is a Trade Name like Tim Hortons. The full legal name is Robin's Construction Services LTD O/A (operating as) Fireplace West . We carry 5 million dollars liability insurance with Federated insurance of Canada and are registered with WSIB. We bank at RBC (80's). A:FW gives a full one year parts and labour on all fireplaces/stoves that we supply and install. Any factory warranties are honoured by the local dealer. Since 2012, Fireplace West clients have spent on service less than $1000 in total. Cleanings are extra. Q:DOES FIREPLACE WEST DO ANYTHING BESIDES INSTALL AND FINISH FIREPLACES? A:We also do BBQ lines and the odd gas furnace. Q:WHAT ARE THE TRENDS FOR 2019? A:Wood to Gas Fireplace Swaps!!! From the late 80's, Minto, Richcraft et al., have designed their kitchens beside an open family room with those zero clearance wood fireplaces (now rotting). For approx $5900, we are removing the wood fireplaces and doing a 2019 gas fireplace update that you will use 250 days of the year. Now you have a new first floor, not just a kicked up kitchen. Will we be doing more Linear fireplaces? Yes.in 2018,we did a couple Valor L2 linears with the new "Heat Shift " technology. it's a $10,000 fireplace suited to new projects. FINALLY, the Real Estate industry is catching onto the poor condition of all of those 80's and 90's zero clearance wood fireplaces. They are booking one of our wood to gas swaps for an updated, 2019 look. They have also eliminated a future "condition of sale", two day Reno. Q:DO YOU HAVE ANY OTHER CONTACT INFORMATION? Call ANYTIME. Sometimes though, we are 30' in the air dropping a fireplace liner down a chimney and need that other hand to hold onto a ladder. Not every call gets answered right away.